What you don't know about public speaking makes you panic. Unfortunately, most training emphasizes performance which creates anxiety. The way you think and feel about communication affects how you communicate. Presentational Speaking strategies enhance your unique communicative actions by minimizing distractions that diminish your ability to be a more powerful speaker and by actively developing skills that engage others. As a speaker, you tell a story. Emotion motivates these dynamic narratives and prompts decision making. Presentational Speaking helps you analyze the networks and power relationships between potential participants and design your speech to maximize the emotional triggers that produce outcomes. If a speech is written so that anyone can present it, the speech has already lost its personality and power. Prioritize the importance of participants and the power underlying the various audiences to obtain the most impact from a speech. When the face and body's emotional messages are mismatched, the body message rules. While practicing, try different gestures with different hands. Do not practice the same gesture repeatedly. Mechanical gestures appear disingenuous. 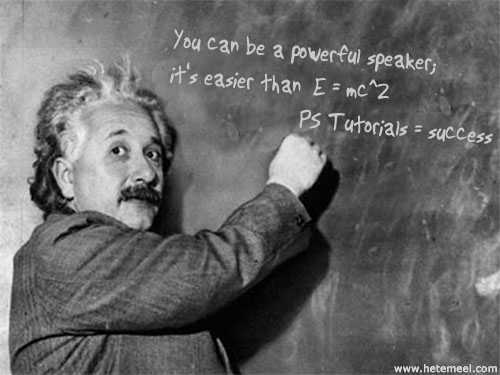 Practice a speech as you would present it. If you will be standing, always practice standing. When using PowerPoint slides, avoid using terms such as, This slide, to begin any statement. Doing so objectifies the slide, distancing you from its argument. Learn how to become a powerful communicator. Contact Presentational Speaking to show you how to incorporate these and many other techniques into your presentations.